Divinity: Original Sin was a breakout title for Larian Studios, showing it had some truly great ideas and concepts for redefining the modern RPG. Divinity: Original Sin 2 improves upon every aspect of the original title and delivers a classic fantasy tale alongside unparalleled customization and impactful player choice. 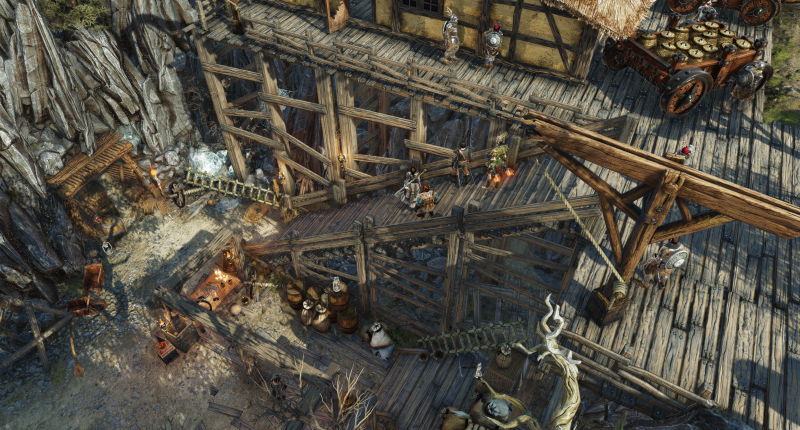 Divinity: Original Sin 2 is the true modern successor to the heralded Baldur’s Gate II. 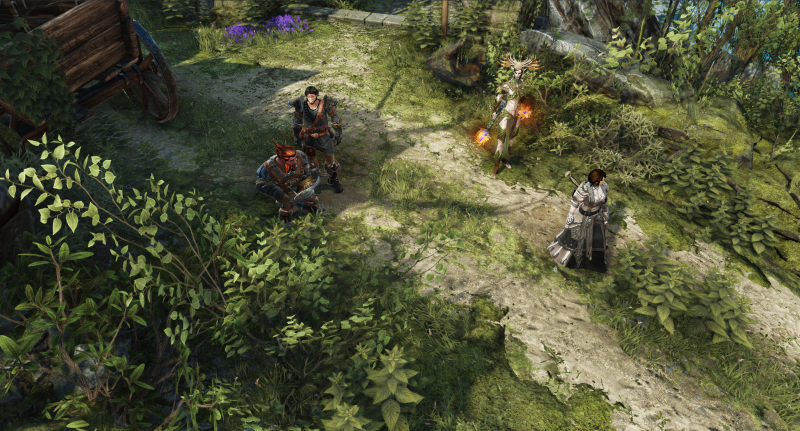 Anything goes in Divinity: Original Sin 2, and most situations have multiple solutions, where choices echo throughout the entire playthrough and have real meaning – not just picking good or bad options on a dialogue wheel. Characters may leave you based on your decisions, and quests ripple between acts – even changing the final encounter and the ending. From romance to rivalry, almost every character you meet has a story that effects the game in interesting ways. These range from sparing an enemy soldier, joining forces with demonic evil for the greater good, or the gravity of willingly unleashing death on an entire city. Divinity: Original Sin 2 challenges you to forget everything you know about games that often have a singular solution and the illusion of choices that always end the same way. Whether your approach to discovering the secrets of the gods is with a truncheon, a silver tongue, stealth and guile, or the mysteries of magic, the world is constantly testing and responding to your touch. Talk to animals. Murder people. Steal everything. Teleport across impassable territory. Convince potential foes to join you. Pick the door’s lock, smash it down, discover a hidden tunnel, or use the secret password. Tear the lids off ancient sarcophagi with your insane strength. Have tea with a noted historian with your scholarly intellect. Or play the traditional hero. It’s all up to you, in any amount. While this degree of freedom can be overwhelming at first, it quickly leads to mild euphoria as you realize that you’re free to interact with the people, places, and problems any way you wish. Little can compare to coming up with your own solution to the hundreds of decisions you face. It is a testament to Larian’s talents that you can try to break the game in so many ways with the tools they present to you and it doesn’t break down. From your opening moments as a source-sapped “Sourcerer” washing up on the beach to the final curtain call, every encounter is a joy. 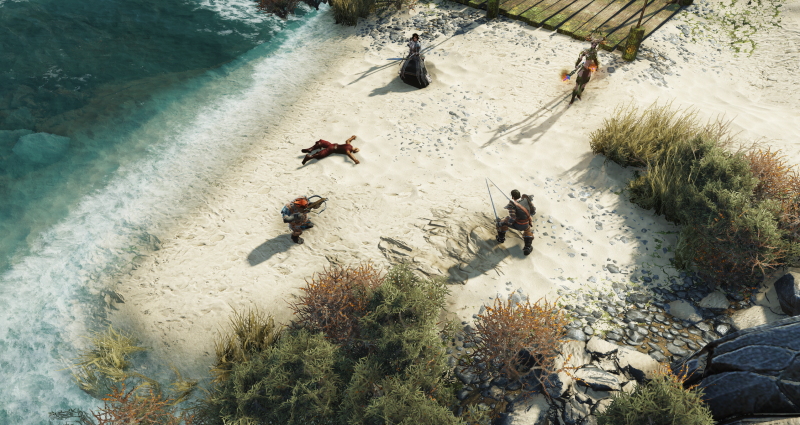 Divinity: Original Sin 2 is awash with popular fantasy fare, from toymakers to trolls, but it’s all served up in a story package that lets you pilot the tale to your liking. You can recruit so-called “origin” allies with their own backstories and motivations, or you can roll your own party. Either way, you can tailor party members to your specifications, but the origin characters provide a far more interesting playthrough and offer quests and interactions you won’t get from your own created heroes. I highly recommend the origin characters, like the arrogant lizard Red Prince, the deadly elf Sebille (who I romanced), and the undead scholar Fane (who I also romanced which was, uh, interesting). Recruiting these allies opens up interesting questlines and unique encounters. However, remember that origin characters have their own desires and goals, and you have to play along (or turn them to your side), or they may leave you forever at critical junctures. Having different races in your team is imperative to enjoying the game, as an elf encampment may give your human a cold shoulder, but allow elves inside their ranks. Undead can heal via poison (but injured by traditional cures) and are immune to Deathfog, which kills all living creatures. Balancing these racial aspects and affiliations is more than just flavor; it unlocks myriad interactions and quests, and play a major role in the core story as well. Every race is highlighted by the origin characters and I am eager to go through the game again to unravel more of their tales. While a few threads of humor shine through with cute talking crabs and happy dogs, the tale is dark without going too edgy – a vast improvement over the constant comedy call-outs of the first title. I’m rarely captivated by video game fantasy tales, but the overarching yarn of discovering your divine powers and ascending to divinity is supported immaculately by a never-ending slew of sidequests that aren’t second fiddle to the main show. Digging into the secrets of a tranquil rainy cemetery and its slightly menacing manor took me hours. That diversion isn’t required to complete the game, but I enjoyed every minute of it – and later, my dealings with the manor host came to impact other relationships. Each branching road is replete with fascinating characters and opportunities, and I wanted to explore every secret passage, out-of-the-way farmhouse, and decaying crypt. Combat is turn-based and driven by action points. For instance, it may cost two action points to swing a sword, three to move to a certain point on the battlefield, or one to quaff a potion hastily in the middle of battle. It is refreshing compared to the “real-time with pause” systems favored by modern RPGs paying respect to the past, and it’s all about elemental interactions here. Lay down some lightning on a pool of water for some shocking stuns, fire some poison on top of fire for explosive results, or call upon the rain to douse the roaring blaze. Want to set up a theft fest? Get some steam going to block visibility and pickpocket to your heart’s content. While elemental interactions were in the original game, new facets like blessing and curse change things up when added to the stew, creating holy fire or cursed fields where healing abilities will injure the recipient. Setting up your perfect tactics by experimenting with different abilities and watching them play out is a joy. One encounter next to a lava river had me searching for an answer to some oppressively positioned forces, but then they gave me the solution by hurling one of my characters into the sky and off to a fiery death. The next time I went back, I had loaded up teleport and mobility skills to fling those lizards into a scorching death pile. Puzzles are a prominent feature, and range from placing weights on pressure plates to fiendishly intricate mysteries that require multiple items and creative problem-solving solutions. While the immediate reaction may be to reach for a walkthrough when stuck, I found immense satisfaction in coming up with convoluted solutions to some of the late-game conundrums. One puzzle near the end of the game is particularly esoteric and has multiple solutions – all I can say is if you ever think your solution might be too insane, just try it. You can always reload that save file! While this fantasy gem is almost flawless, some meddlesome quirks are drilled into the framework with random character freezes, running through closed doors, puzzle pieces not operating properly, and quests not completing. These bugs are frustrating, but if you’re saving often anyway they should be mostly painless. I didn’t run into anything that stopped me from enjoying the game. Multiplayer is also available for up to four players, but things can get messy quickly if your friends are troublemakers or want to take things in different directions. You’re going to be on the hook for your buddy when he gets caught stealing or decides to kill that dwarf you’re trying to make friends with, but that chaos can be fun, too. A Game Master mode lets players set up their own campaigns and adventures, which is sure to give creative mapmakers and modders a lot to enjoy and add longevity to the game. 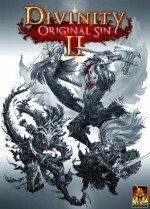 Divinity: Original Sin 2 is one of the greatest PC RPGs of all time, and Larian’s continued dedication to creating incredible freeform adventures inspired by tabletop lineage is inspiring and commendable. A few bugs and frustrating encounters are small prices to pay for a lavish ensemble of the genre’s best and a one-of-a-kind experience. Decisions and choices shape the world around you in this incredible PC RPG.